With primary races heating up all over Delaware, it’s little wonder that anyone even knows about the primary happening upstate – up as in, “up in New Castle County.” In the County Council 3rd District, represented by Republicans as far back as anyone can recall and at one time spanning from Greenville to Newark, there is a Republican primary race. However, due to redistricting in 2012, the district now shifts further south into Newark but still includes Hockessin and Pike Creek, so it’s not the same district of voters that existed back in 2010, which might make for an interesting election here in 2014. 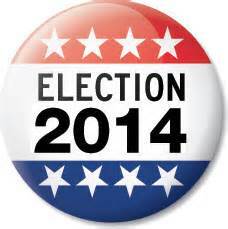 This year there are two Republicans vying for the 3rd NCC District seat. The freshman politican and current Councilwoman, Janet Kilpatrick and her opponent, Mike Protack, who is no stranger to running for office as the perennial candidate that runs for some office every 2 years. The interesting thing about this year is that we’re seeing the same candidates running for the same office that they did in 2010. Yes, it was Mr. Protack that ran and lost against Ms. Kilpatrick back in the 2010 primary, losing by about 175 votes. Ms. Kilpatrick then went on to win the general election by overwhelming numbers over her Democrat opponent Renee Tashner, keeping the seat firmly Republican. But it was a different district and in 2010 Mr. Protack was a Tea Party favorite. A lot has changed in four years, making this race one to watch. Ms. Kilpatrick certainly knows her way around the district and has done an admirable job especially when you consider that the opposition party held 10 of the 13 council seats in NCC when she got elected. Now the D’s have 11 seats, due in part to Tom Kovack not seeking reelection for the at large, county-wide Council President’s seat he’d won in a special election, opting instead to run for the US Congress in 2012. Janet is community minded and involved. She founded the Hockessin 4th of July Parade and Fireworks and is active in many community groups making sure that the citizens voices are heard by our County Government. New Castle County doesn’t offer a lot of services and has even fewer sources of revenue to fund them, so keeping the County fiscally sound isn’t easy when the only real sources of income come from sewer fees and property taxes, both of which are directly related to development, either residential or commercial and the real estate market hasn’t been booming like it once did in NCC. Never popular or easy, land use issues dominate most County Council meetings and people naturally don’t want anything to change, especially in their back yard or across the street from their home. Fortunately, Janet is pretty skilled at finding a way to work things out and that’s also a surefire way to make sure that some people aren’t happy, but finding a compromise common ground and looking all the options is sometimes the best you can do. Janet, along with Councilman Sheldon helped to reincorporate the long dormant White Clay Area Civic League, giving residents in that area a way to address issues of concern and review land redevelopment projects now and into the future. Another sticking point for Mr. Gordon who told his Office of Community Governing to NOT provide any assistance in helping this reenergized Civic group get organized. Being accessible and responsive is something that Janet has constantly done while serving as the Councilperson for the 3rd District. Taking time to listen and discuss issues of concern of residents and citizens groups and fielding complaints and requests for help navigating County Government procedures, it’s all part of the job, a job that Janet loves to do and wants to do for another four years. Mr. Protack has run for office so often that it is difficult to recall every office he’s ever sought, but the one thing you can’t say about Mike is that he’s a quitter! Mike has run for a Brandywine school board seat; Governor in 2004; US Senate in 2006; Governor (again) in 2008; County Council in 2010; County Council President in 2012, and now for County Council (again) in 2014. Along the way he also ran for Chairman of the DE Republican Party at least once, maybe twice and for Region Chair not long ago. Toss in a State Rep race or two and, well you get the idea, he’s the always running man! I’m sure there were other offices Mike ran for, but it’s getting downright difficult to keep track. The folks over at Delaware Liberal put Mike’s record at office seeking at 0-11. Like I said, you can say some things about Mike, but you certainly can’t call him a quitter, if nothing else he’s downright amazing in his resilience and ability to keep up the every 2 year pace of running for office. For that milestone alone, he wins the ironman of Delaware politics hands down. However, many people are left wondering just what office does Mike really want? Another thing you can’t dispute is that Mike is a smart and talented guy and he’s a political junkie. If you’ve ever had the chance to talk to him in person, he’s actually pretty personable, insightful and a decent public speaker. He’s had a couple of interesting ideas to tackle some specific state issues, but only recently talked about the County Inspector General concept (so much for his Tea Party mantra of ‘ smaller government’. But the biggest problem Mike faces is that once the internet gets buzzing, all bets are off, as it’s only a matter of time before Mike turns a topic discussion into a rant and the rant turns ugly and the insults start flying and folks, once it’s on the internet, it’s there forever. Mike often says he ‘likes to stir things up’ and is ‘just having fun’, which would be fine, if those outbursts only happened rarely, but his frequency and tone of the nasty commentary just aren’t funny anymore. So how can a Councilperson in the minority party be effective and get things done when you’re just one of two Republicans on County Council? You need to be level headed and be willing to talk and meet with anyone and will work across the aisle with other independent Council members making sure all points of view are heard and discussed before making a decision or casting a vote. This is something that Janet does as a normal course of being the Councilperson. Mike has been an airline pilot for over 20+ years and as a Captain, he’s the man in charge and makes decisions without needing to confer with the passengers. While that may be perfectly acceptable for a pilot, it just doesn’t work for elected officials that are supposed to represent their constituents. So will he be able to change his leadership style honed over a lifetime and go from making all the decisions by himself to being able to talk and listen to constituents without getting upset? I’m not sure Mike can do that, since he only shows up during election time and, after the votes are all tallied, like magic he disappears for another 2 years until the next election, never to be seen at any County or Civic group meetings, heck you’d be hard pressed to find him at a local coffee shop. One thing is certain; Ms. Kilpatrick isn’t well liked by County Executive Gordon as evidenced by the frequent fiery newspaper articles that feature comments from Mr. Gordon and Ms. Kilpatrick on issues where they’ve had differing views. It’s also interesting to note that Mike Protack isn’t being attacked by the Gordon Administration, in fact, he’s garnered the support of the pro-Gordon blogger that begs the Republicans to go out and vote for Protack! So does this mean the County Executive would go so far as to actively seek out and support another Republican to run against an incumbent Republican? Wait, didn’t that happen once before? Wasn’t it the same 3rd District? Why ‘yes’ and ‘yes’ and more to the point, it was the same County Executive Gordon in office then as now. The only thing different was it was Rich Abbott as the incumbent freshman Republican Councilman seeking his second term and William “Bill” Tansey as the challenger recruited and fully supported by the County Executive Gordon with and all the power and resources he could muster. You might recall that Mr. Gordon didn’t like Mr. Abbott and Mr. Abbott was a foil to many of the Executives plans. History shows how that effort back in 2002 paid off – Mr. Tansey won the primary by a mere 8 votes and then went on to win the general election that November against Democrat Paul Clark. If it worked once, why not again in 2014? Legal issues and electioneering be damned! Who will prevail on September 9th? It all depends on so many things, from the weather to the upper ticket races and the ability to draw out the faithful R’s that vote in every election like clockwork, to the local efforts of the candidates to get their supporters to come out and vote, not to mention the meddling of the opposing party working feverishly, once again, to attempt to influence the outcome of a Republican primary race. So it might come down to a simple question, Who do you trust to stand up to corruption and the County Executive? – the incumbent that’s been doing just that or the guy that says he will, but is being manipulated and propped up by the County Executive? One Comment on "Guest Post From Mary Richards"
← Has The Pressure Become Too Much For Vance Phillips?